If you’ve ever tried waxing at home, you know how awkward, painful, and messy it can be. 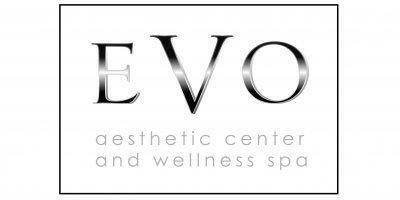 A professional waxing with the experts at EVO Aesthetic Center and Wellness Spa may be your answer. The team of aestheticians offer exceptional waxing treatments for both men and women at competitive prices. Call the office in Lakeway, Texas or book an appointment online today. One of the most popular hair removal methods, waxing involves the application of either soft or hard wax to your skin. During a soft wax treatment, your aesthetician uses an applicator to spread hot wax over the treatment area in the direction of hair growth. They cover the area with a strip of fabric, which they rip off in the opposite direction of hair growth to remove unwanted hair from the roots. For smaller areas, such as a portion of the face, or for more sensitive regions like the bikini area, many practitioners prefer to use hard wax. As with soft wax treatment, your aesthetician spreads the wax over the treatment area; however, hard wax is applied both with and against the direction of hair growth. As the wax cools, it hardens so that it can be pulled directly off the skin without a fabric strip. What areas of the body can waxing treat? What can you expect during a waxing treatment? For best results, you should avoid shaving for two weeks leading up to your appointment; the hair must be at least ¼ inch long to be waxed. Before waxing, your aesthetician cleanses and prepares the treatment area. Depending on the size of the treatment area, your session may be just a few minutes or as long as an hour. After the treatment, your aesthetician will use oil to remove any excess wax. Although waxing won’t remove hair permanently, the hair won’t grow back for 2-6 weeks. Plus, repeated waxing over an extended period may permanently reduce hair growth. Call the professionals at EVO Aesthetic Center and Wellness Spa or book your waxing appointment online today.